So after a disappointing run of results, culminating in a 4-0 drubbing away to Jubilo Iwata, the decision was finally taken by the club's management and Jun Suzuki was fired as head coach of Omiya Ardija. At the same time his assistant Tomoyuki Ishii has also left the club. Suzuki came to Ardija in 2010 after a 3 year spell at Albirex Nigata with the hope that he was a rising young Japanese coach who would bring a fresh impetus into the team that had spent the previous 5 years consolidating its position in the top tier of Japanese football. Omiya believed he would be the man to carry the Squirrels forward from their regular season ending position of 12th -15th place. Sadly things didn't quite work out the way both Suzuki, the club and the fans would have liked. Today Omiya Ardija still finds itself in that same pigeon-hole. Stable in J1 perhaps but that's as far as the excitement goes. While I'm sure that Jun is a very nice man, that doesn't win prizes in football just faint praise from journalists happy to speak to the guy. Not that Japanese managers or players are noted for their interesting quotes. To me Suzuki comes across as a quiet, bookish type and I don't see him motivating the players in the changing room or from the side of the pitch in difficult situations. I still believe that on the training ground he could be a good coach. Perhaps he will get the chance to take over a position at a middling J2 side and push them forward. I wish him and Ishii well. As a fan of Ardija though, I am not sorry to see Suzuki go. Recently the team's performances have been poor and Suzuki has failed to offer any other solutions than his standard team and standard tactic of beating teams on the counter-attack. Watching Ardija has become like watching the same formulaic sitcom episode over and over again with just a few bright sparks from time to time to keep the fans coming through the gates of the Nack5. The under-use and then sale of Naoki Ishihara mystifies many to this day, and it's a bitter pill for us to see him getting on so well at Sanfrecce. I don't believe Suzuki was getting the best out of Ueda and Higashi in the midfield either, where we should be far more creative and controlling possession more than we do. As for the strike power, well I've already mentioned Ishihara's sale and after that there's not much more to say. This season Rafael has looked more like a midfielder than a striker. When Hasegawa has been used, the team has not been sent out to make the most of his height and power, and after that there is seemingly nothing in the squad because they have been ignored by Suzuki. He seems to have been pushing Cho further forward in the belief that he would both score and provide goals. To be fair, Cho has done this and has put a lot of effort in on the pitch. However it must be said he is a midfielder not a striker. The lack of strength upfront has been woeful and the coach must take the blame for that. As for the defence, it has been leaking goals almost everywhere, 4 goals away to Sendai and Jubilo being particular low points. 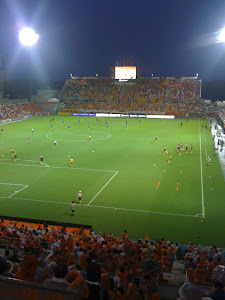 A team that so rarely packs a punch up front must rely on a tight defence, but the Ardija defenders give so much space to the opposing team's forwards to play in, the inevitable soon happens. Even when we weren't getting hammered, too many points would be dropped due to late equalizers. The club has made this decision at the right time during a short recess in the J League season whilst the national team is playing World Cup qualifiers. There are still 21 games in the league to go which will give the new coach a fair chance of helping Ardija to retain it's J1 status, which sadly must now be the main aim. A run in the Emperor's Cup would be a welcome distraction and boost to the fans too, as our Nabisco Cup chances disappeared long ago. Finally Suzuki was rumoured to be one of the best paid coaches in J1 so I have no idea what that will mean for the finances of the club in terms of both attracting a new coach and presumably paying Suzuki off. As the reign of Jun Suzuki comes to an end, let us say goodbye and farewell and leave him to have the final say, "I couldn't respond to expectations and it really is a great shame that I am leaving the team."